Computer modelers tasked with untangling California’s knotty water problems often find themselves entangled by incompatible or poorly organized datasets. They’re stuck for months trying to transform these datasets into model inputs before the important business of modeling can get underway. Some highly useful datasets on parts of California’s water system never make it into the “big picture” models because of obscurity and poor documentation. 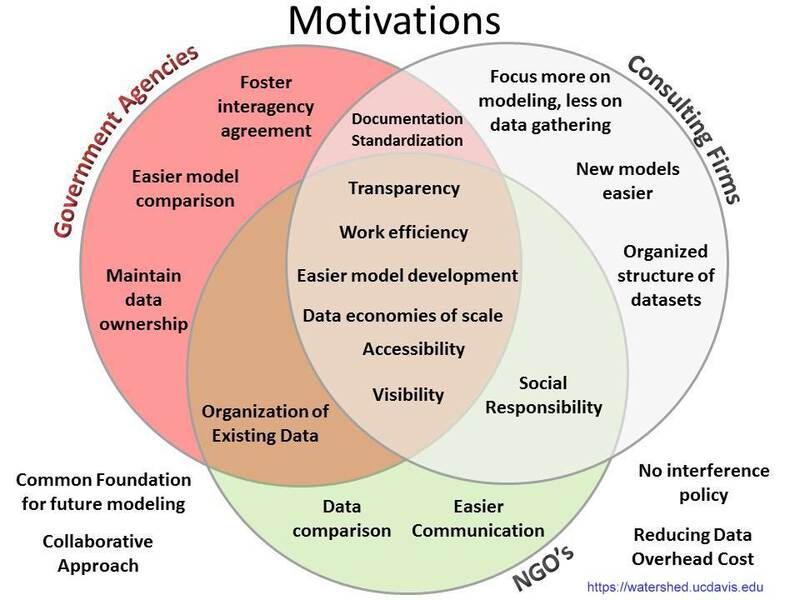 Worst of all, the final modeling data remains obscure and largely undocumented because the framework for integrating information is inconsistent. As a result, our technical understanding of the state’s water system remains fragmented, hindering already difficult water policy discussions. Models that quantify California’s water system are important because they give policymakers, regulators and system operators the insights needed to develop better and more adaptable solutions to water conflicts. With this need in mind, the UC Davis Center for Watershed Sciences recently launched an initiative in the California modeling community to develop standard datasets for building and using models of California’s water system. The goal is to establish common protocols for organizing, documenting and storing these datasets. Such standards would allow models to be built and modified with greater ease, transparency and participation. We dubbed the project HOBBES, a whimsical nod to 17th century English philosopher Thomas Hobbes’ solution to civil unrest. The only way to secure civil society, he argued, is through universal submission to a supreme ruler. Today’s unruly modeling seems to call for a somewhat more Hobbesian order. We introduced HOBBES to the Californian modeling community in April at the annual meeting of the California Water and Environmental Modeling Forum and drew enough interest for a half-day workshop last month at UC Davis. This is an unprecedented water-community effort with government agencies, nonprofit groups and consulting firms all helping to draft standards. Participants should find great advantages in common protocols that would make it easier to share databases and compare models. Water managers can improve inter-agency consensus on data while maintaining ownership. Consultants can invest more time modeling and less time gathering and defining the data. Hobbes has a 2-year timeline with a pilot application expected by the end of 2014. Users will need only a web browser to access the data at no charge. The database includes nodes and links representing major reservoirs, groundwater basins, pumping stations, hydropower and water treatment facilities, demand areas and conveyance infrastructure statewide. These elements also can host time series and information from hydrologic, economic and climate models. The Center for Watershed Sciences has found rigorous data management and documentation essential to the effectiveness of its CALVIN hydro-economic optimization model of California’s water system. HOBBES is a new approach that builds models from the bottom up, rather than arranging data around a model algorithm. The data structure, organization and documentation are established first to describe the system, followed by application of simulation or optimization modeling algorithms for particular problems. HOBBES provides a non-adversarial venue for decentralizing data development in a common framework and enhancing capabilities for future modeling efforts in the California water community. The communal effort to standardize datasets will result in more transparent, accessible and efficient model development. Samuel Sandoval Solis, Josué Medellín-Azuara and Jay Lund run the Hobbes project for the UC Davis Center for Watershed Sciences. Sandoval Solis is an assistant professor and cooperative extension specialist in water resources planning and management. Medellín-Azuara is a Center researcher who specializes in economic modeling. Jay Lund is a professor of civil and environmental engineering and director of the Center. Draper, A.J., M.W. Jenkins, K.W. Kirby, J.R. Lund, and R.E. Howitt (2003), “Economic-Engineering Optimization for California Water Management,” Journal of Water Resources Planning and Management, Vol. 129, No. 3, May, pp. 155-164. CALVIN project overview, UC Davis Center for Watershed Sciences. Hobbes, T., & Gaskin, J. C. A. (1998). Leviathan. Oxford: Oxford University Press. This entry was posted in Uncategorized and tagged HOBBES, Jay Lund, Josué Medellín-Azuara, Samuel Sandoval Solis, water modeling. Bookmark the permalink. Hearing about further studies and modeling sounds a bit like we are ignoring the elephant in the room. Don’t we already know that we are taking nearly twice as much out of the Delta as we should? And that California has committed to water rights that exceed what nature has ever provided by a factor of 2 to 8? That is a problem that seems to trump all other concerns. If you want to actually cut back water diversions, or provide assurances of diversions in the face of inevitable changes, then someone had better be keeping track of the numbers and impacts in a coherent and transparent way. This is an important and worthy project. But much policy making today is driven by CALSIM, where data has been systematized but has not been documented. Moreover the model is cumbersome and unavailable to all but the very few highly trained specialists. The experts at UC Davis should put pressure on DWR to improve public access to their modeling tools. Didn’t the fact that your other project is named Calvin have anything to do with naming this one Hobbes? Just a little, maybe? Will this new modeling show us how much water the delta needs to stay healthy? A new Delta Flows analysis? Something that can encourage the state to cut back exporting while some real solution is implemented (recycling, desal, a way to store excess when there is in the ground water tables in Central Valley)? Or is the thought to start with where we are at and try to not continue to do harm – if the latter I fear all the fish will be gone before adjustments are made. 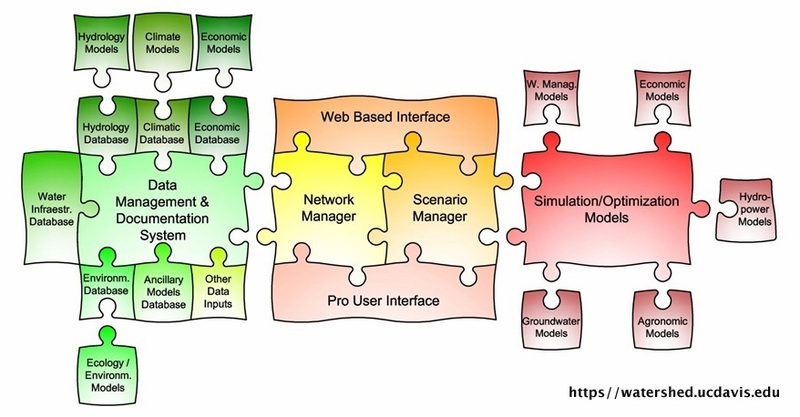 Good system modeling should provide insights on how best to integrate a variety of actions, both demand and supply management as you mention, for the many purposes people have in mind for California’s water system. Good system modeling requires better documentation and coherence of data than exists currently. Calvin and Hobbes…that’s funny! Seriously though, data is what should drive decisions, and we all know we could use some better decisions made about our water use. Thanks for the article. Reblogged this on NewsBeat: UC Davis College of Agricultural and Environmental Sciences.